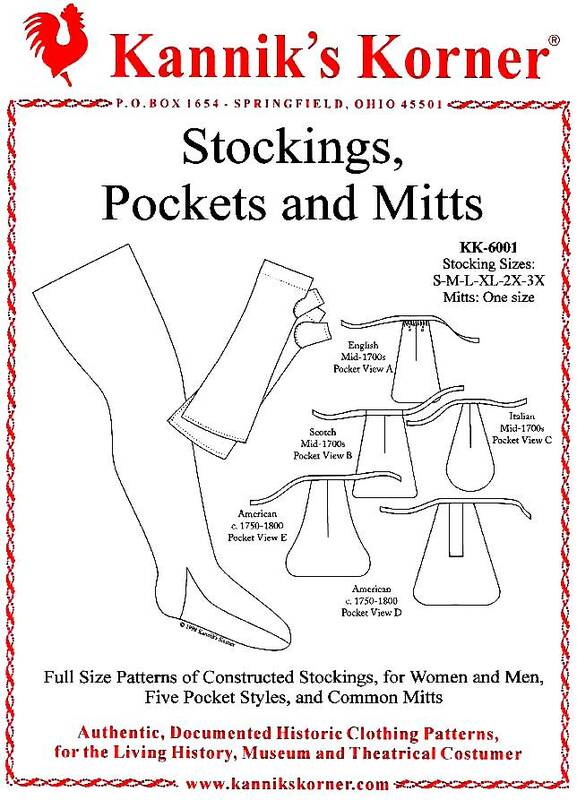 A full-scale, multi-size, pattern for constructed stockings for men or women, with instructions for custom fitting. Five pocket styles, including three mid-18th century (English, Scotch, & Italian), and two second half 18th century from America. Also includes a pattern for women's common linen mitts, cut on the bias (one size).